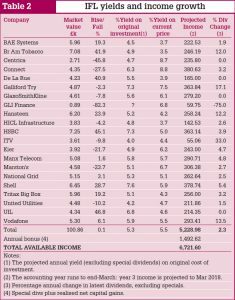 Vodafone special dividend saves RIRP’s bacon. Since the last article in October, twelve of the shares in the Rising Income Retirement Portfolio have paid another dividend, or will have done so by the end of the RIRP accounting year in February. Ten of them, whose current year income is shown in blue in the main table, will have paid out more than this time last year. That includes a restoration of dividend growth at BP, and a surprise special dividend of 4p a share from Direct Line following the sale of its closed life assurance business. I normally rail against these erratic special payouts because they wreak havoc on my efforts to achieve smooth dividend growth. 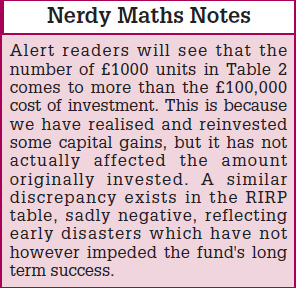 But I cannot ignore the fact that the extra income from DL and Standard Life earlier this year has significantly mitigated the effect on the RIRP of the two failures in this, my first annus horribilis. The big one was the total loss of income from FirstGroup following its rights issue earlier this year, at which point it was ejected from the portfolio with a big capital loss. 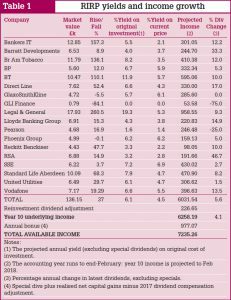 The second was the recent cut in dividend at RSA following news of a black hole at their Irish subsidiary — see Peter Shearlock’s update here. And now it looks as though my income from RSA will be further reduced in the year ahead. But so long as they do not resort to a rights issue and suspension of dividends, I can weather that with equanimity, largely because of the impending massive return of cash from the Vodafone special dividend to its shareholders in March. My immediate problem is my current year income. 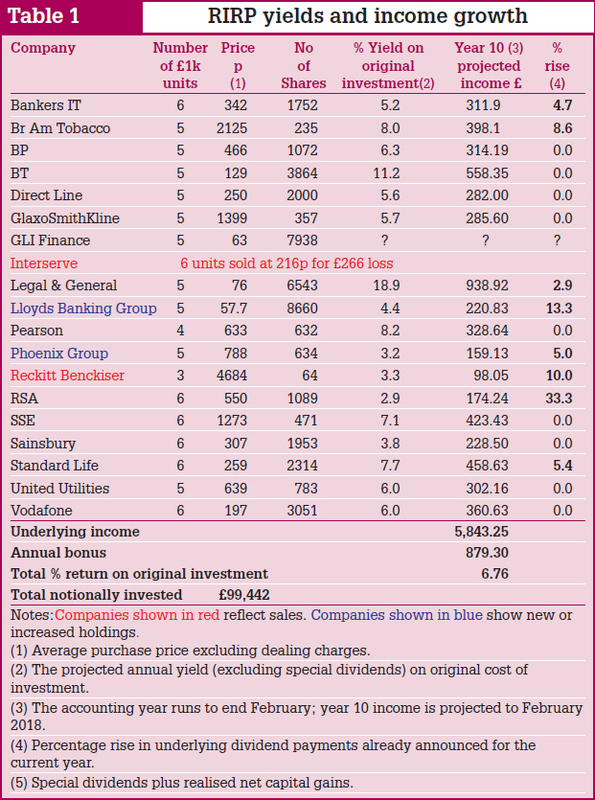 The impact of FirstGroup and RSA means that despite the sturdy rise in dividends from most of the portfolio shown in Table 2 — averaging more than three times the rate of RPI inflation this year — there is still a hole of several hundred pounds between my actual dividend income for the current year and what I need to beat inflation for the year. I am in some ways setting my income bar for the year artificially high, ignoring the fact that the cumulative rise in return on capital since the fund was started actually amounts to more than twice the rate of inflation. 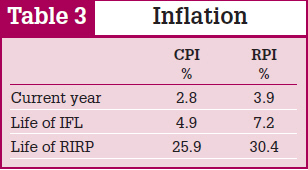 As always I choose the higher of the RPI and CPI to calculate inflation: I have beaten the CPI rise nearly threefold. I am also choosing to ignore the possibility that some of the Vodafone payout may in practice be encashable right at the end of February, within my current accounting year. 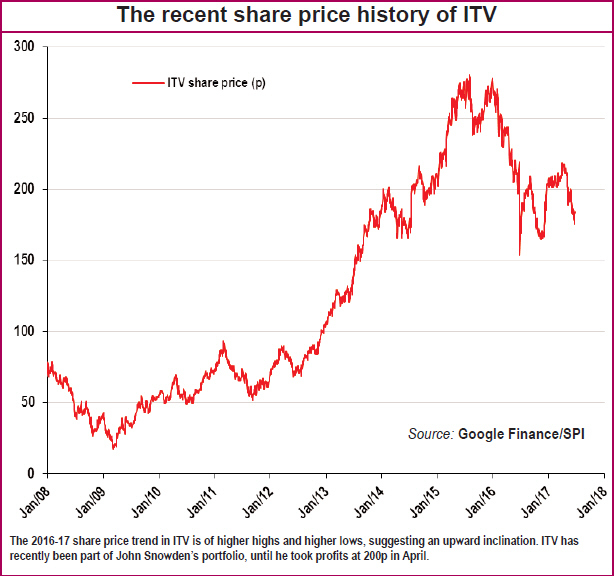 I am doing so partly as a result of having had to face the “problem” earlier this year of what to do with shares whose capital value has raced ahead of my average purchase price, as many of them have. Theoretically, capital gains or losses do not interest me, but I was forced to address them to help restore the scars of the FirstGroup capital losses, which I reduced by cashing in one fifth of my holdings in Bankers Investment Trust and Pearson, both of which had almost doubled in value. And it is this which has enabled me to sleep easily for the rest of the year despite its disappointments: for if it was right to do that, then the rabbit I am about to extract from my hat to compensate for this year’s income shortfall must be just as defensible. Earlier in the year I was staring at the prospect of a £600 income deficit, but dividend growth elsewhere and further falls in inflation have reduced the gap to under £250. I propose to fund this by cashing in some of the RIRP’s Lloyds shares. return of £748 original investment, applied to defray the cost of this month’s new purchases. This also eliminates the previous untidy fractional Lloyds holding, now reduced to 2 units from 2.75. But for all the logic, I find it difficult to resist a sense of Puritan guilt at this solution, so I propose to exorcise it thus. Our 2014 accounting year starting in March will kick off with the Vodafone special dividend, it’s unprecendented return of cash to shareholders resulting from their realisation of the embedded value of their joint venture with Verizon. The RIRP will receive a payout of an estimated 30p a share, and twice as much value in Verizon shares. The £1,000 plus cash payout alone would provide the RIRP with dividend growth of 17% for the year, assuming all the other shares deliver no growth at all. 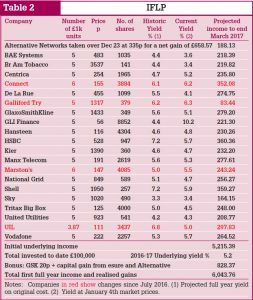 Of course I shall be left with fewer Vodafone shares after their consolidation and as yet the dividend prospects there are unclear. So to salve my conscience I shall refund £494 of the payout to the capital account so that essentially I shall just have lent myself the cash for this year’s inflation-beating “income” — consuming some of tomorrow’s jam today. In February the RIRP will be 6 years old and I propose to round off this year by making it fully invested. So I will buy further units in those companies in which I am underweight: two in BP, and one each in Direct Line and Reckitt Benckiser. 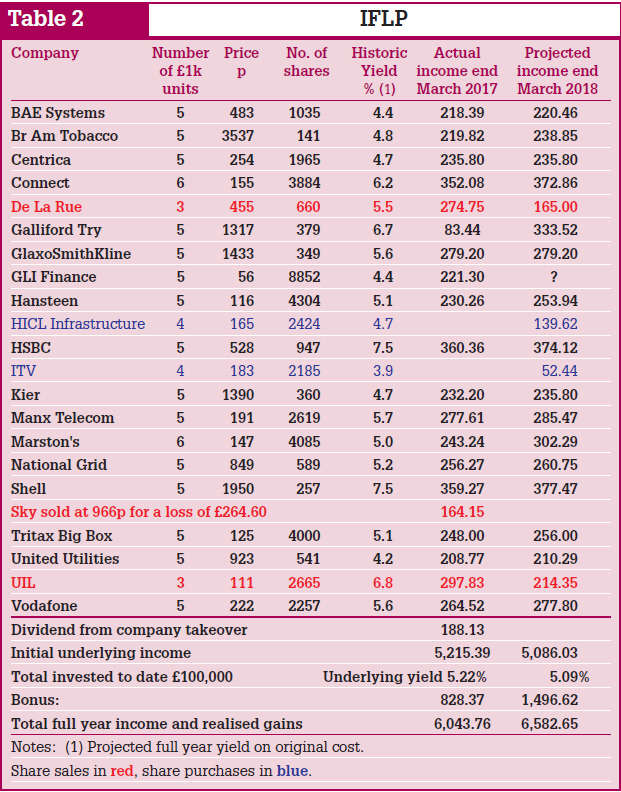 Because nothing I buy now comes anywhere near matching my current effective average yield of over 6% on my originally invested capital, this reduces the projected yield for the year ahead slightly, and so has the further effect of raising the bar a little higher for next year’s dividend growth requirement. 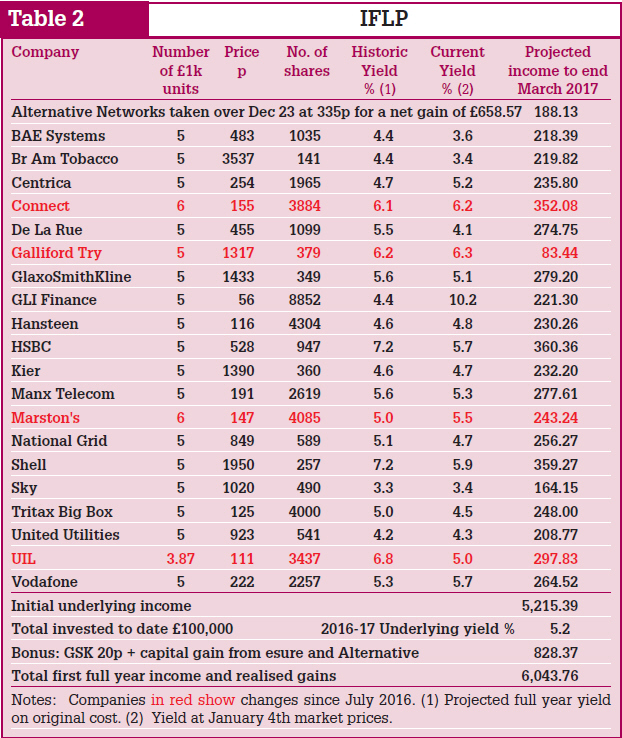 At the moment, if I assume the additional income from Verizon will offset any fall in income from Vodafone, and assume zero income from RSA and bring in only half the special cash from the Vodafone special dividend, the portfolio shows broadly unchanged income from the current year, assuming there is no income growth from other holdings. I do not expect an entirely easy ride between now and the 2015 election, but I have reasonable confidence that in practice the RIRP income will continue to outperform inflation, without needing to consume any more capital gains. It is true that the RIRP is overweight in the two sectors which are likely to be political footballs as targets of “cost of living crisis” electioneering between now and 2015: energy and transport. 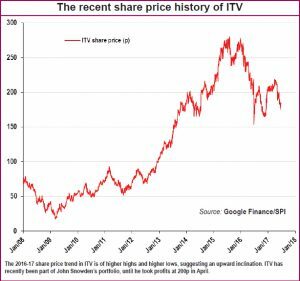 But frankly all the shares in the portfolio could come under headline-grabbing attack if the fight gets really nasty, with the possible exceptions of Balfour Beatty, Interserve and Pearson. On balance I doubt if the boards of any of the RIRP holdings will punish their shareholders unless forced to by their regulators — who currently lack the power to do so — or by persuasion by government, public opinion and the press. 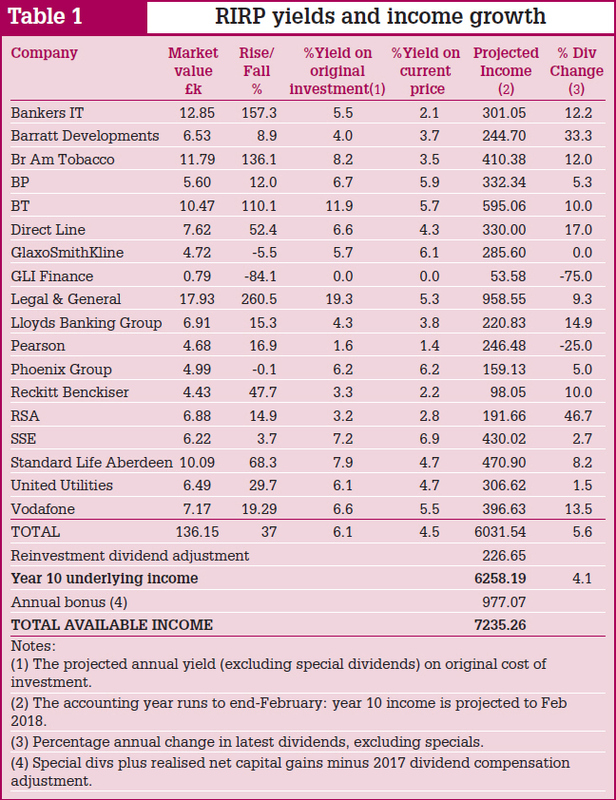 Apart from RSA the prospects for dividend growth from the rest of the portfolio look as sound as ever and — who knows — Lloyds might yet restore the dividend in 2014! And to end on an upbeat note: I started investing with a yield target of 4% net. 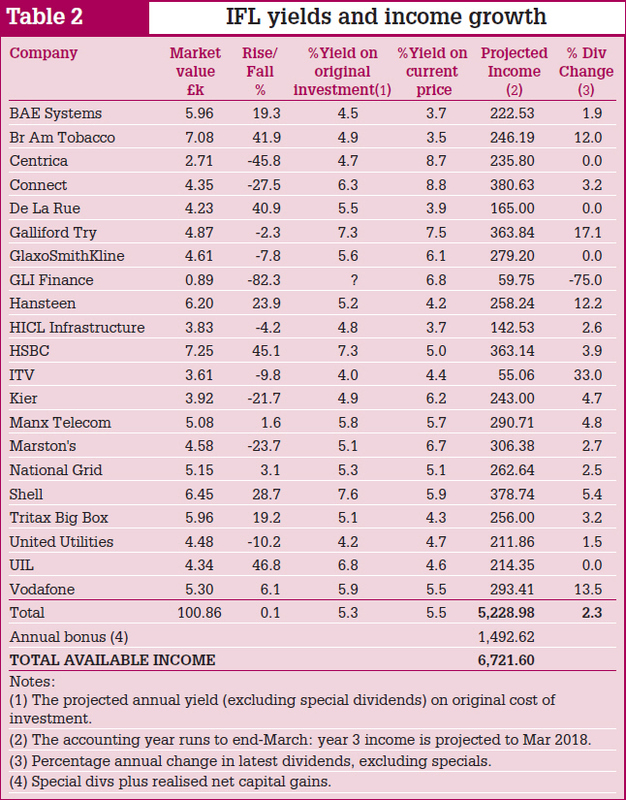 My actual dividend income for the current year before the Lloyds fudge represents 5.8% of the funds invested. That is the equivalent of a pre-tax interest rate of 7.25% for a basic rate taxpayer. There has also been cumulative income growth of 45% from the initial target against a rise in inflation of under 21%. 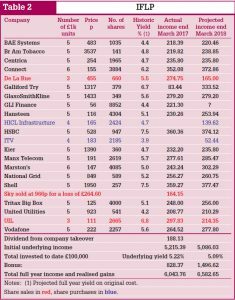 And just for the record, despite the 25% current book loss on RSA, the £100,000 invested to date could be sold for just under £146,000, a percentage capital gain which is uncannily close to the cumulative dividend growth. 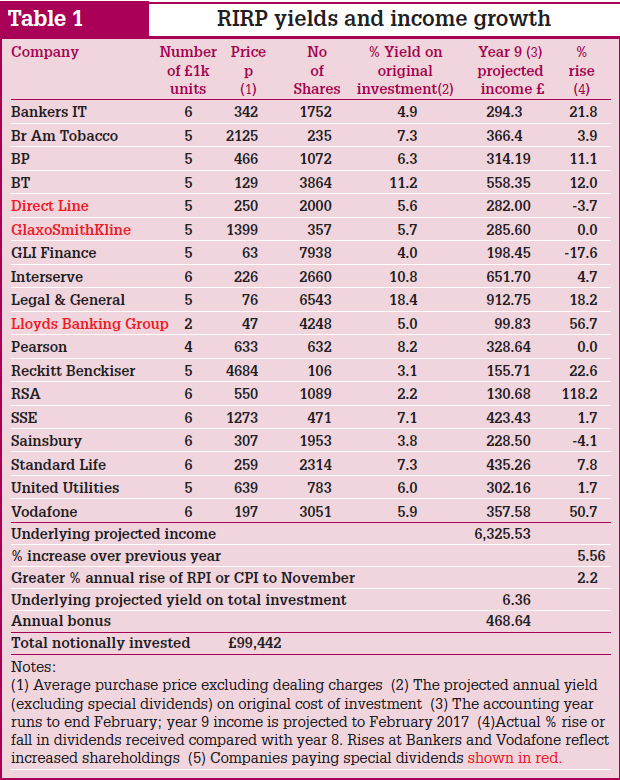 Even a new investor in the RIRP at today’s prices would get an underlying yield of at least 3.7% net, equivalent to 4.6% gross at a bank, assuming nothing from RSA and no further dividend growth elsewhere in the year ahead. So I keep my fingers crossed for a prosperous and healthy 2014, and wish you all the same. First published in The IRS Report on 11th January 2014.